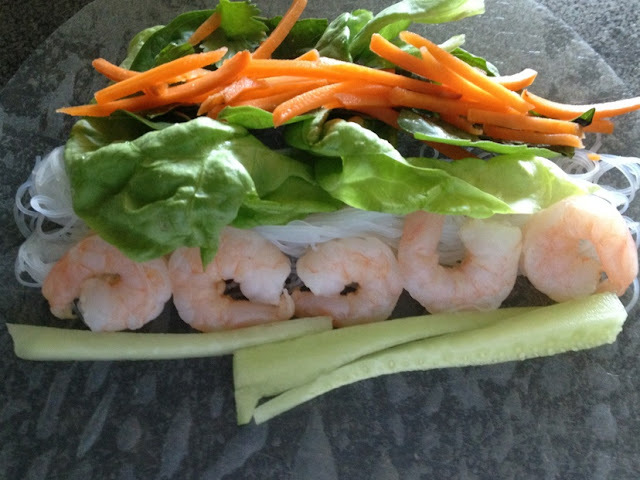 I have always been intimidated to make summer rolls! I figured it would be a pain in the rear to find all of the ingredients. Little did I know that most grocery stores carry these ingredients. I found both the rice paper and rice sticks in the Asian section of the grocery store! Each roll is barely any calories and you would never know because we were full after 3 rolls! This would also be a great thing to serve at a dinner party and literally take less than 30 minutes to prepare! Prepare your basil, mint, cilantro, lettuce by washing and setting aside. Cut your cucumber into thin, skinny slices. 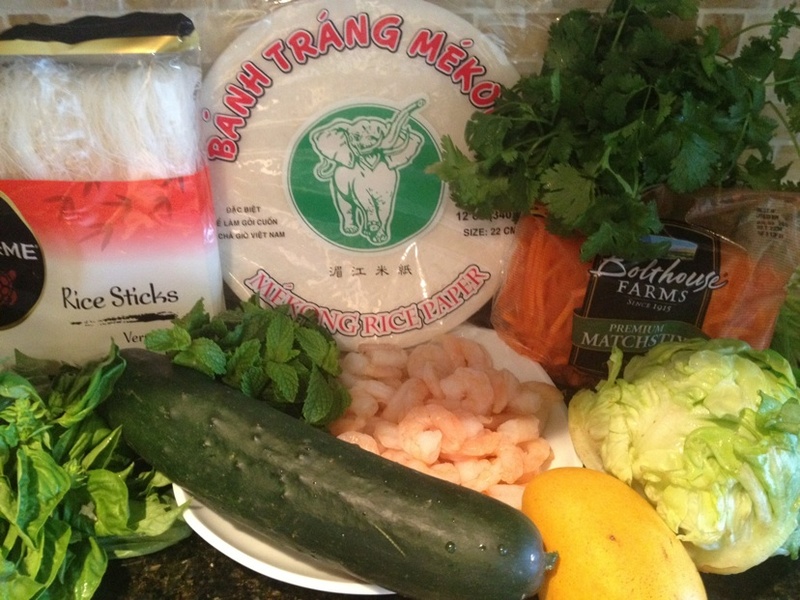 Cook noodles in boiling water per package instructions, about 3 minutes, then strain and rinse under cool water. 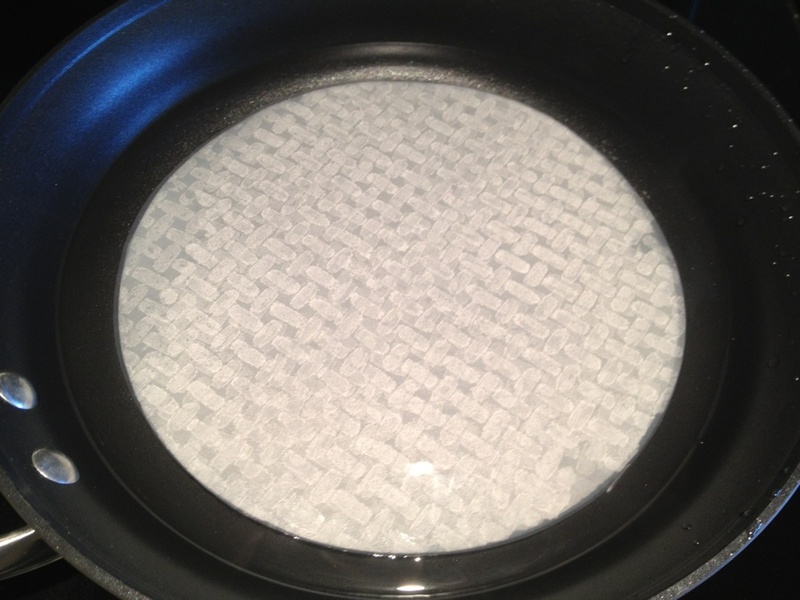 Add warm water to a large dish or frying pan. 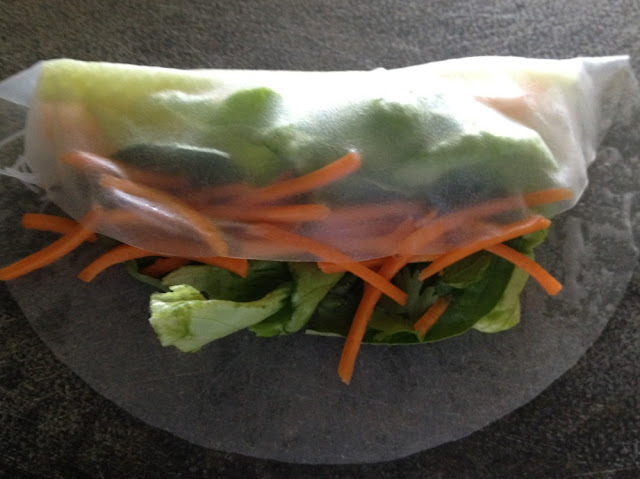 Place one rice paper wrap in the water to soften, about 30 seconds. Do not let it curl. On a dry surface, place the soft wrapper. 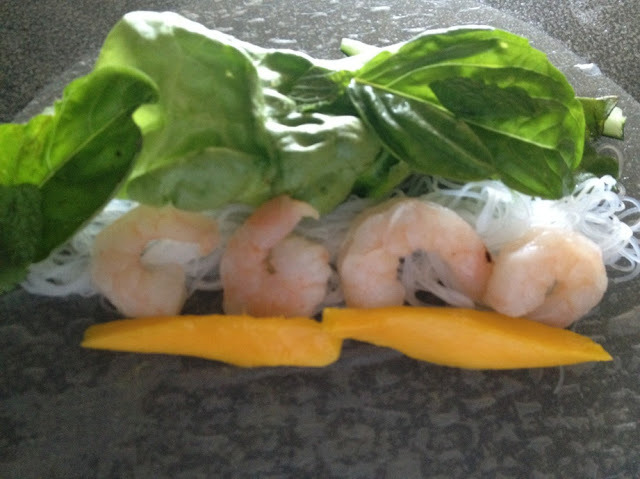 Layer with a small amount of noodles, about 5 small shrimp, 2 large basil leaves, 2 small mint leaves, several pinches of fresh cilantro, shredded carrots, julienned cucumbers, and torn lettuce leaves (use only the soft part of the leaf, tear and discard the tough stem piece). Do the same thing if you want to add mango! Fold the left and right sides of the wrapper over the filling in the middle, fold up the bottom of the wrapper on both ends. Set roll aside in a dry place and continue making rolls until filling runs out. Wrappers may stick to each other and tear if you place the rolls too close together afterwards. 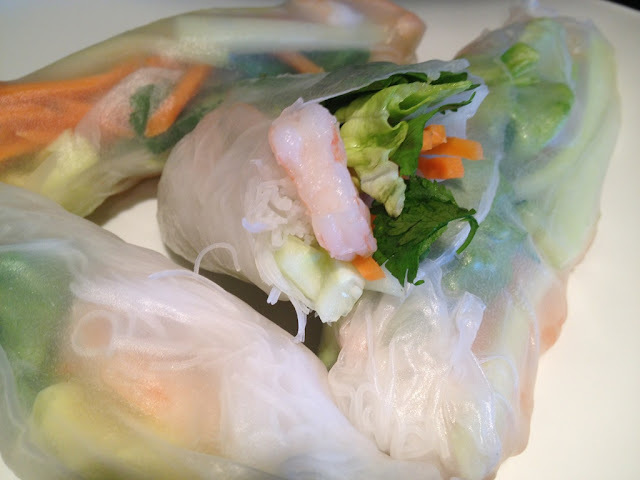 I served my spring rolls with a homemade peanut sauce which I will post tomorrow! !